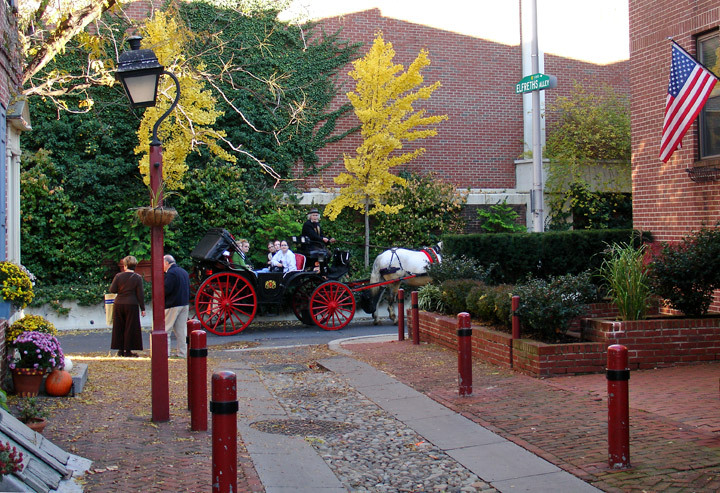 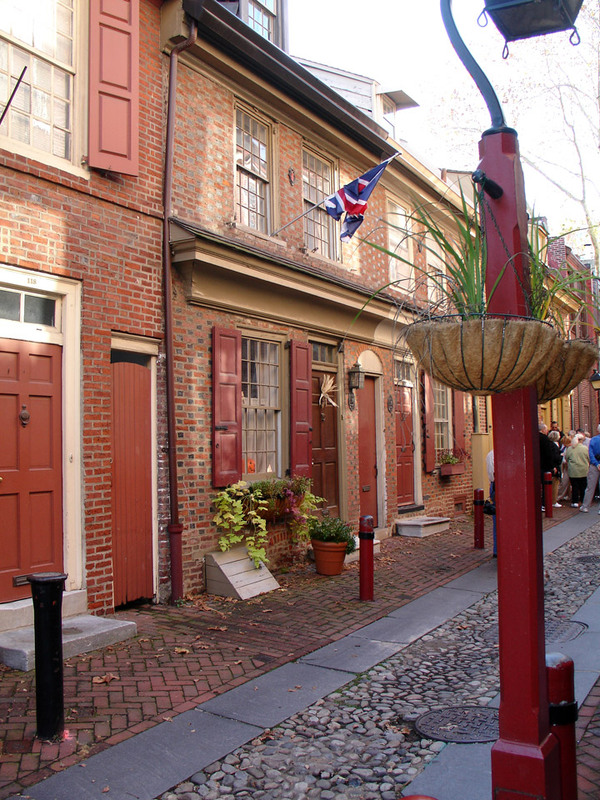 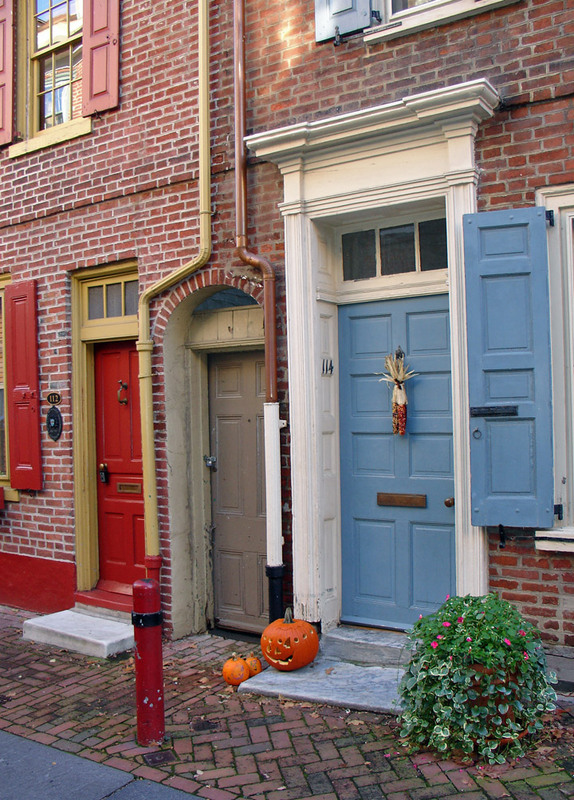 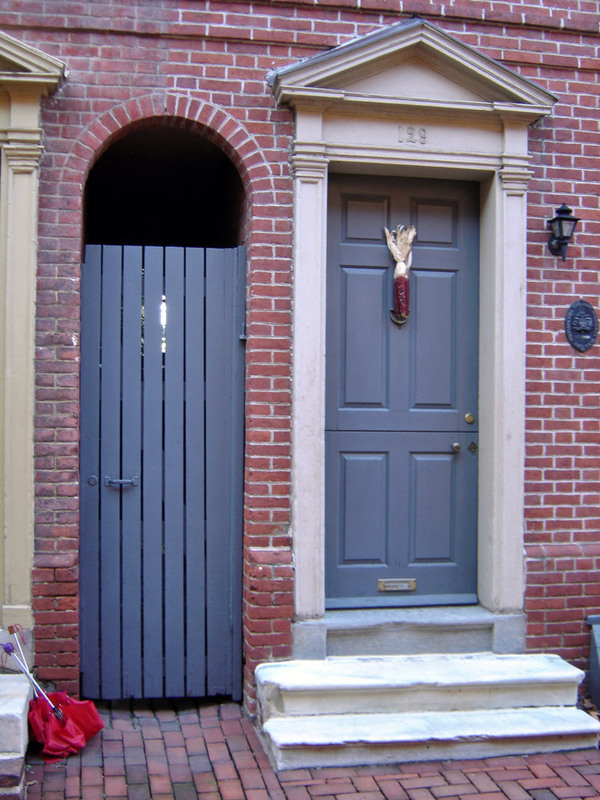 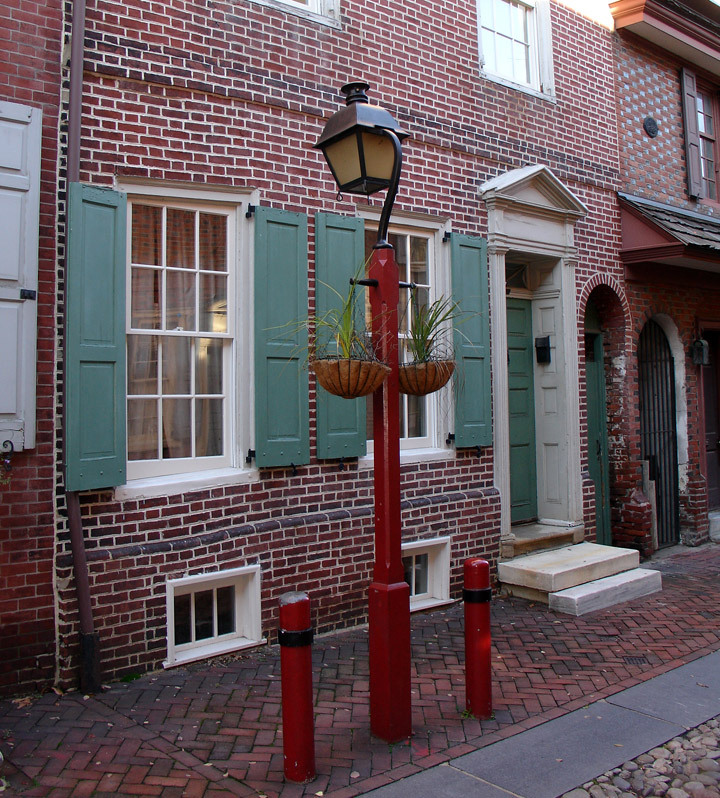 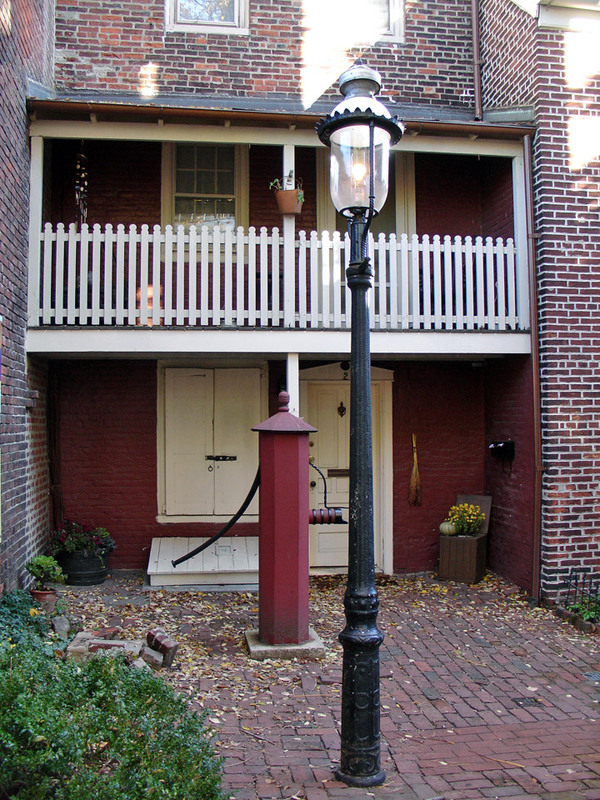 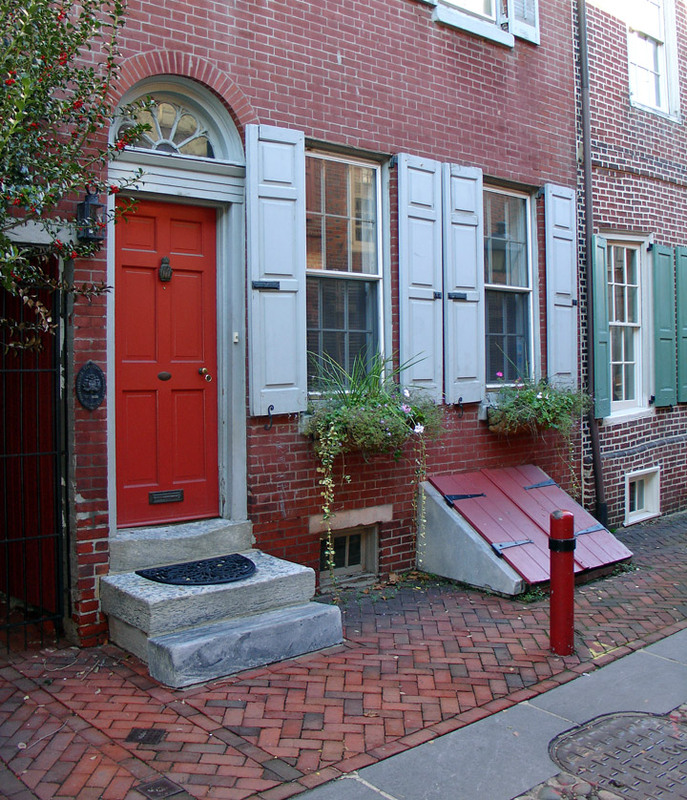 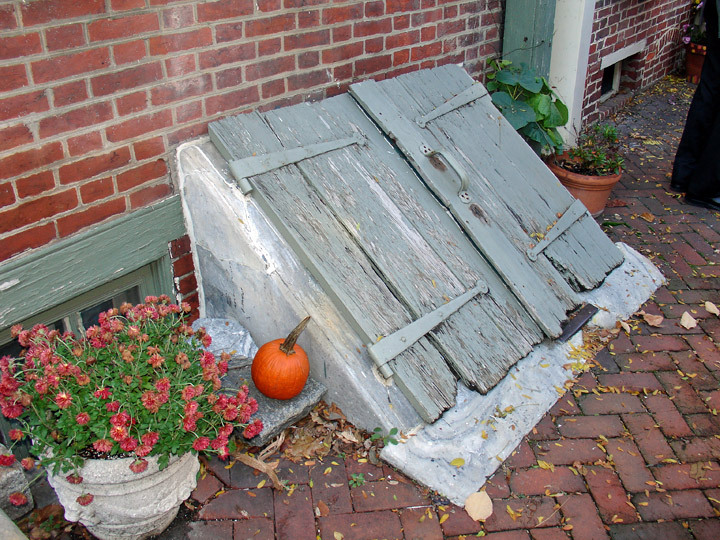 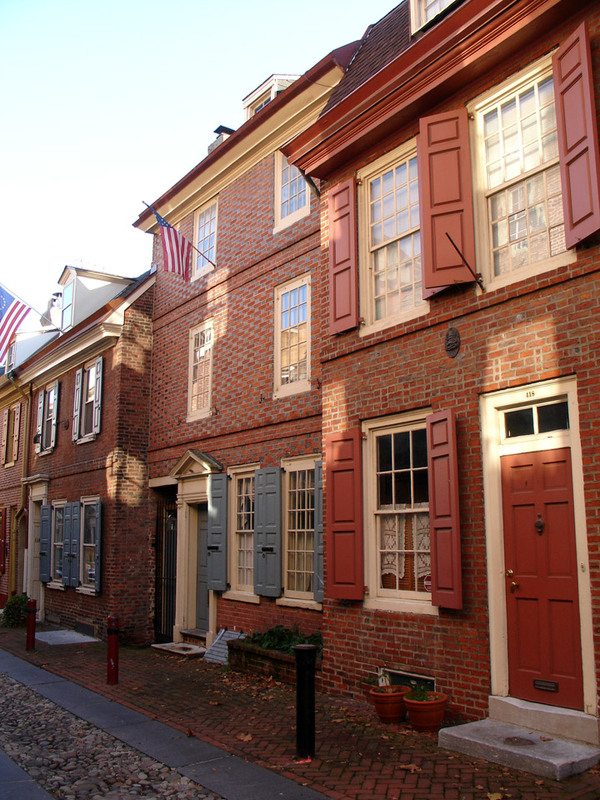 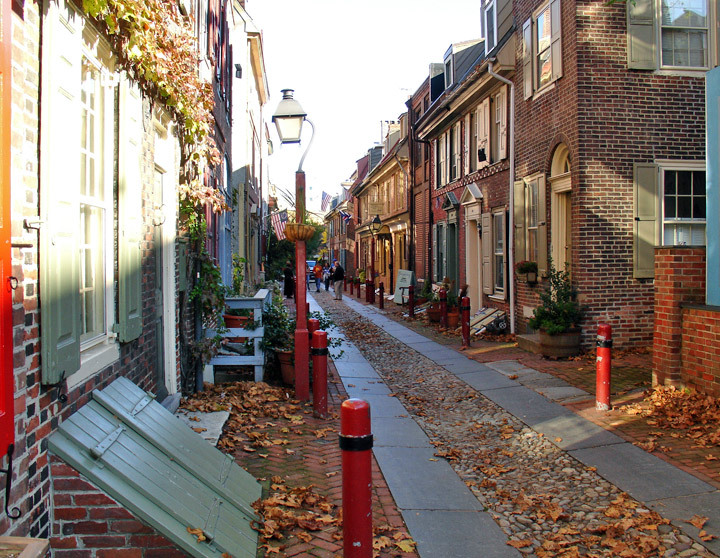 No visit to Philadelphia would be complete without a stop at Elfreth's Alley, often referred to as the oldest continuously inhabited street in America. 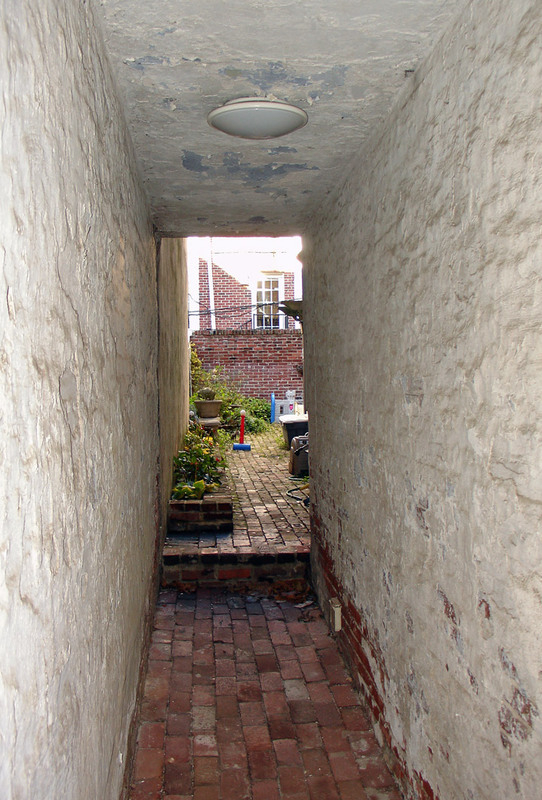 It was opened shortly before 1702 by Arthur Wells, a blacksmith, and John Gilbert, a bolter, and is only a stone's throw away from Christ Church. 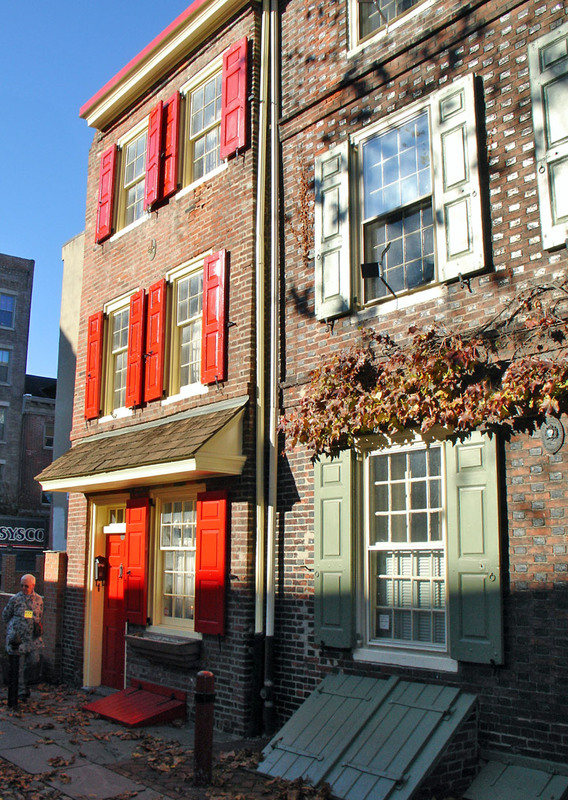 Just cross 2nd Street and walk north one-and-one-half blocks. 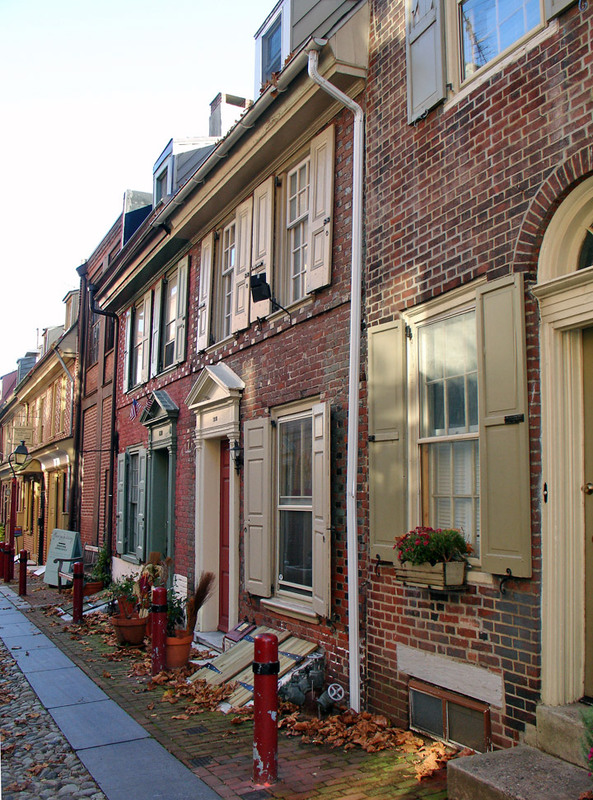 Here among contemporary storehouses, wholesalers and the jobbers of commerce is a single street that provides a glimpse into the 18th century. 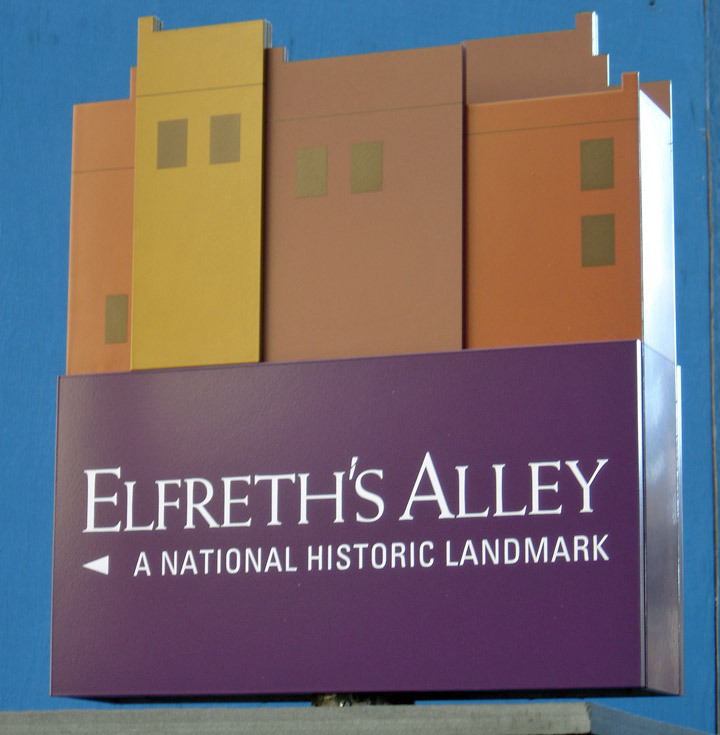 It is named for Jeremiah Elfreth and was the home of carpenters, printers and craftsmen of all sorts. 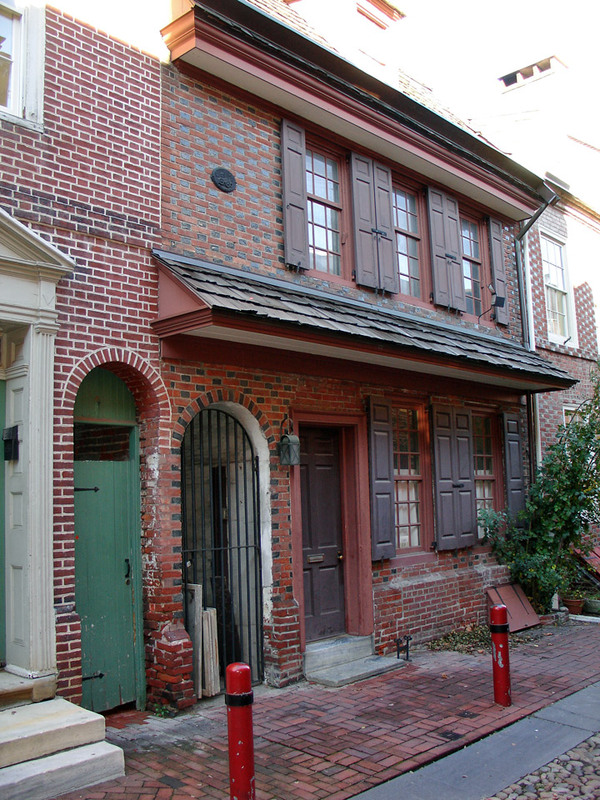 Benjamin Franklin once lived here although no one is sure in just which house. 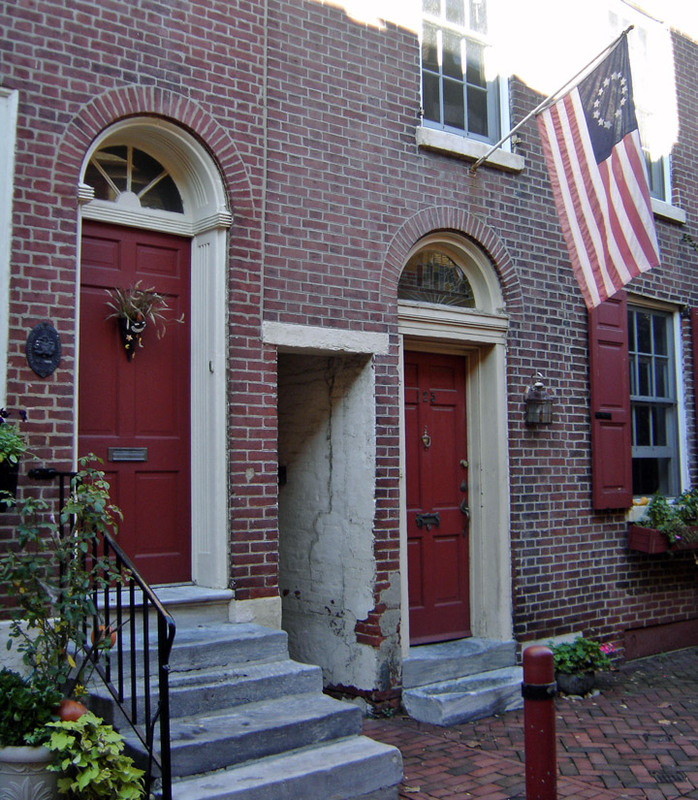 Betsy Ross visited the alley, for, although at the time of the Revolution Philadelphia was the second largest city under British rule (London was larger), the city itself was small by today's standards and most people in the city were known to one another. 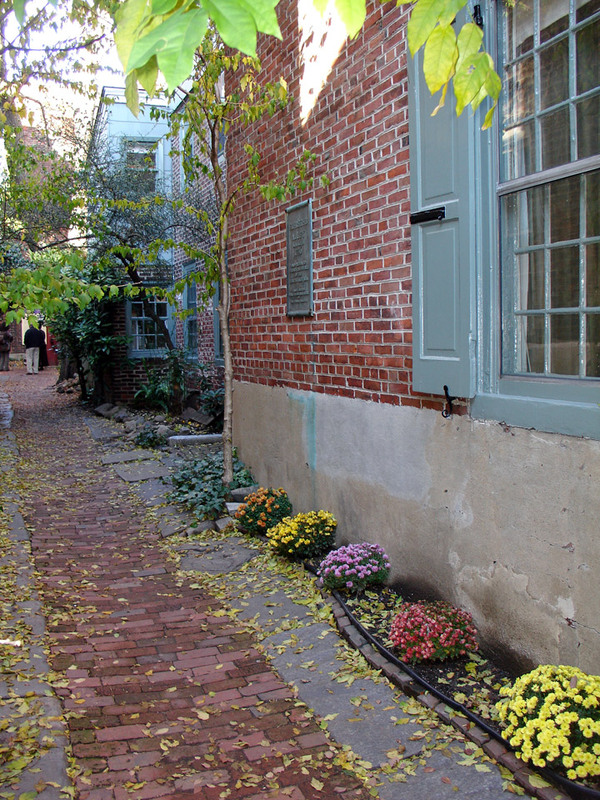 In June, usually on the first weekend, Elfreth's Alley residents open their homes and gardens to the public. 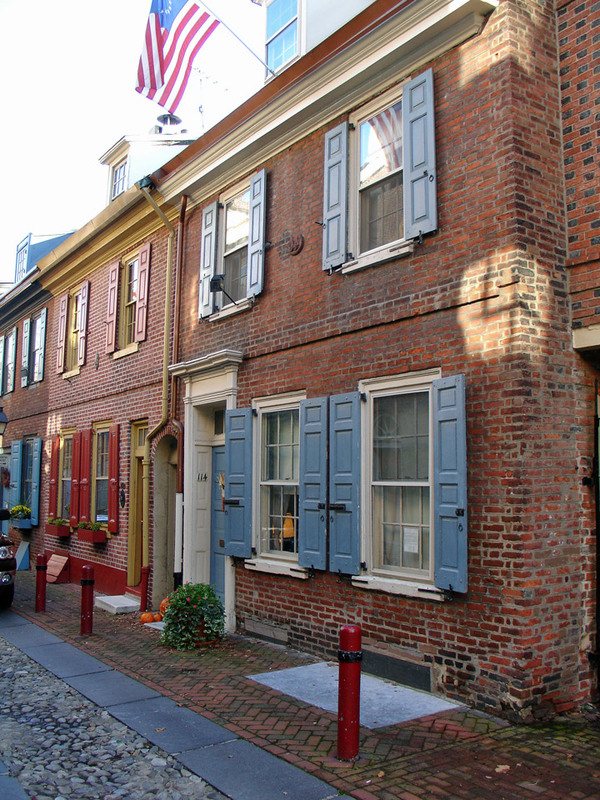 The oldest houses are thought to be 122 and 124, which were built between 1725 and 1727. 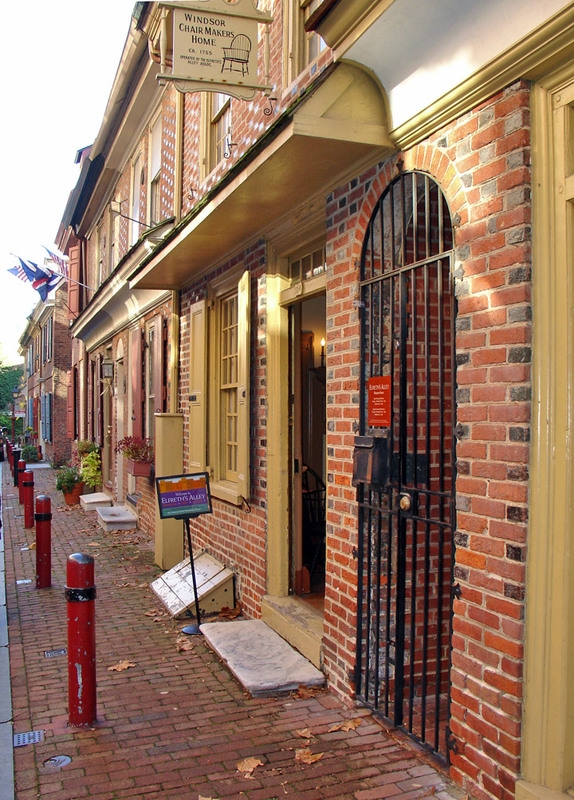 The Mantua Maker's Museum House (1762) at 126, which is maintained by the Elfreth's Alley Association, is open to the public. 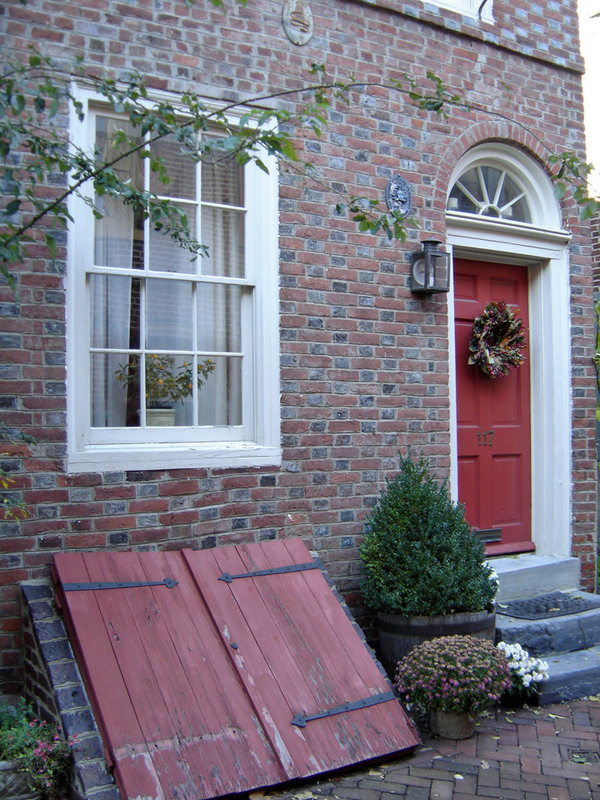 A mantua is a cape like cloak that was quite popular with our 18th-century ancestors. 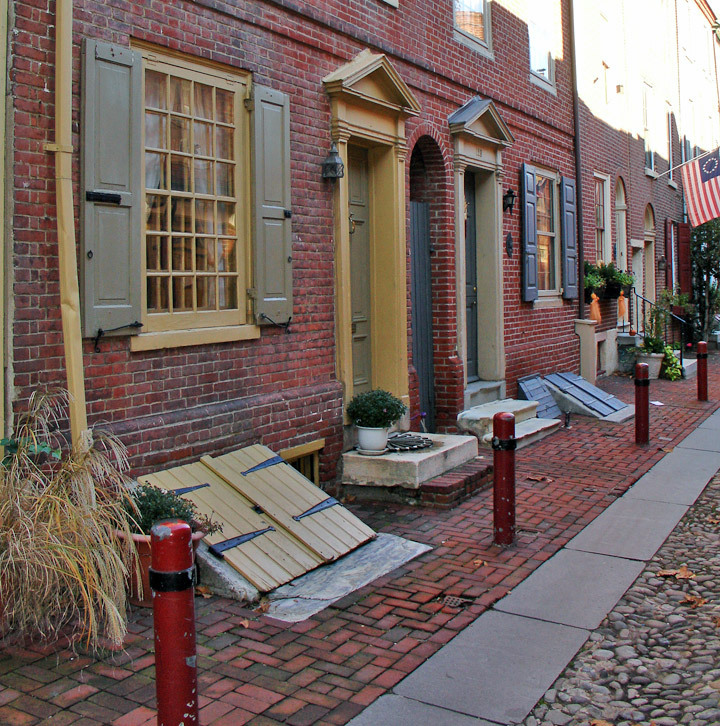 Halfway down toward Front Street and the Delaware River, there is a small cobble stoned way to the left, Bladen's Court. 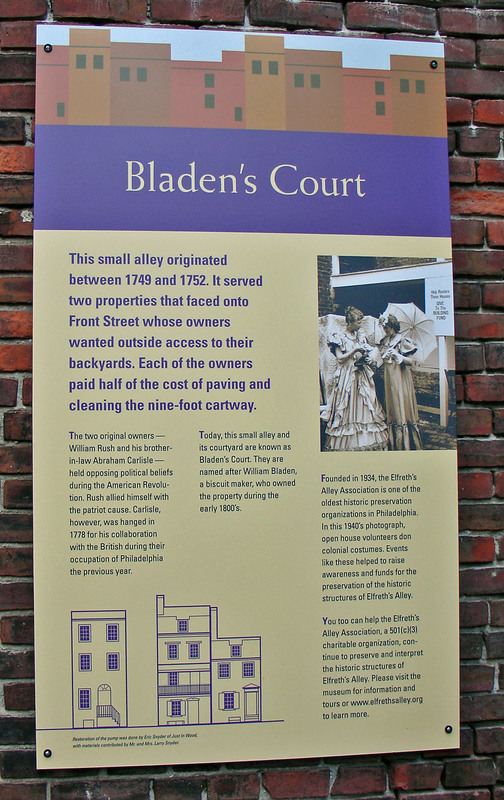 There are only three houses that actually open on Bladen's Court, but two others have rear or side doors onto it. 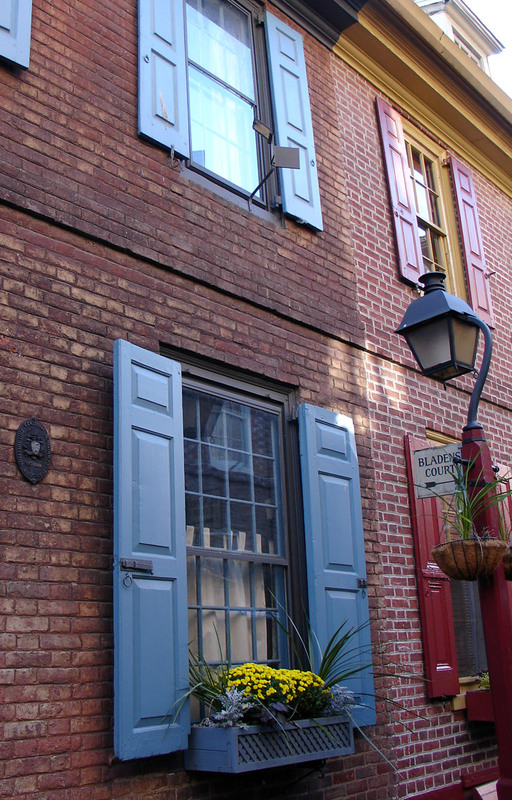 The last house has a spinning balcony, a tiny porch on the second story the width of the house itself, where, in earlier times, on pleasant days, the lady of the house set her spinning wheel.